TextAnalysisTool.NET's support for plug-ins allows users to add in their own code that understands specialized file types. Every time a file is opened, each plug-in is given a chance to take responsibility for parsing that file. When a plug-in takes responsibility for parsing a file, it becomes that plug-in's job to produce a textual representation of the file for display in the usual line display. If no plug-in supports a particular file, then it gets opened using TextAnalysisTool.NET's default parser (which displays the file's contents directly). One example of what a plug-in could do is read a binary file format and produce meaningful textual output from it (e.g., if the file is compressed or encrypted). Another plug-in might add support for the .zip format and display a list of the files within the archive. A particularly ambitious plug-in might translate text files from one language to another. The possibilities are endless! I encourage people to read Tomer's post to get a full sense of what WPPFormatter does. There's a download link at the end of that post, so please try it out if it seems useful! 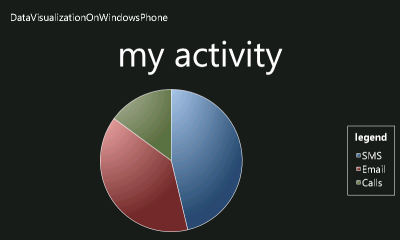 The recent release of the Windows Phone Developer Tools Beta introduces a variety of notable changes to the Windows Phone platform and I've been meaning to update my Data Visualization on Windows Phone sample so I could continue to refer people to it for educational purposes. (Just like I did when the April Tools Refresh came out.) I finally got some time and have updated the sample so it targets the Beta Tools and works "out of the box". App.xaml.cs: There's a lot more initialization code by default. App.xaml: There's no longer a need to bake all those phone-specific styles into every application, so the default App.xaml is nearly empty (like it should be)! Also, the new PhoneApplicationService events are hooked up by default. SplashScreenImage.jpg: An appropriately-named splash screen is now created and used automatically. MainPage.xaml: The platform-specific Phone* assemblies and default namespaces have shifted around a bit. SupportedOrientations is now set in XAML instead of code. DataVisualizationOnWindowsPhone.csproj: The WINDOWS_PHONE symbol is now #define-ed by default, giving shared code now a standard way of detecting the Windows Phone platform. The phone assembly references are slightly different and the splash screen is included by default. WMAppManifest.xml: The property PlaceHolderString on the DefaultTask element has been renamed. While I was at it, I also tweaked the way the data source is created (by making it a class and moving it to the Resources section) so now the charts show up at design-time, too. I'm using the exact same System.Windows.Controls.DataVisualization.Toolkit.dll and System.Windows.Controls.dll assemblies as before (see notes 4 and 5 of the previous post for more context) - though there should no longer be a need to "un-sign" the Silverlight Toolkit assembly to use it on Windows Phone. This was all pretty basic stuff and it's important to note that none of the application code was affected. Changes like this are a natural part of the platform and project templates maturing - and it's great to see improvements like the default styles moving into the platform! 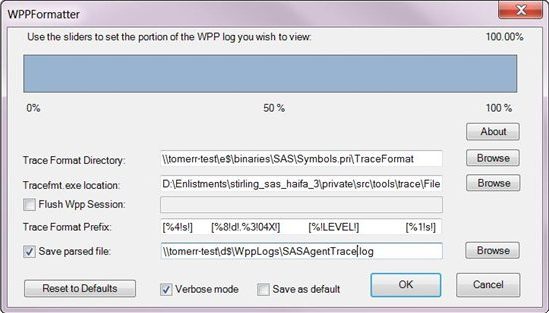 The data binding infrastructure for Silverlight and WPF is extremely powerful and makes it easy to write powerful, dynamic applications without worrying about synchronizing the UI with every change to the underlying data. By leveraging this power, developers can think entirely in terms of the data model and be confident that any changes they make will be reflected by the interface automatically. The way this works is that every element has a DataContext property, and the value of that property is inherited. DataContext can be assigned any object and acts as the default source for all Bindings applied to the element's properties. The object acting as DataContext can be as simple or complex as an application needs and is free to "shape" the data however is most convenient for the UI and Bindings. Collection-based controls like ItemsControl (and its subclasses ListBox, TreeView, etc.) automatically set the DataContext of their containers to the specific item they represent. This is what you'd expect and enables a great deal of flexibility when displaying collections. However, each element has a only one DataContext - so sometimes it's useful to "reach outside" that and bind to properties on some other object. The sample above has an application-wide DataContext model object ApplicationViewModel containing a bool property ShowHeight that's TwoWay-bound to the CheckBox control. For convenience, ShowHeight is also exposed as a Visibility value via HeightVisibility - which is much more convenient to bind the Visibility property to. There's also a Mountains property containing a collection of MountainViewModel model objects. Each mountain in the list is meant to show or hide its height according to the setting on ApplicationViewModel - but because the DataContext of the ListBoxItem containers is set to instances of MountainViewModel, they can't "see" the HeightVisibility property... The most direct option is probably to propagate this value "down" to the MountainViewModel instances by adding a property to the class for that purpose and keeping it in sync with the "real" property on ApplicationViewModel. However, that feels like a bit of overkill for the current situation. Instead, if we just "leapfrog" the Binding in the item content, we can make use of the ApplicationViewModel directly and everything stays nice and simple! ElementName points the Binding at an element with the DataContext of interest, then the Path selects the DataContext as a starting point (an instance of the ApplicationViewModel class in this case), hooks up to that object's HeightVisibility property - and we're done! A few weeks after the initial release of the Windows Phone Developer Tools in April, I blogged a sample showing how to easily animate device orientation changes for Windows Phone 7 applications. I noted at the time that the default behavior for application projects is no animation - the app immediately switches to the new orientation when the device is rotated (click here for a brief video of the default behavior). While this is clearly the simplest approach, I wanted to enable something a little fancier by smoothly animating the application's rotation from one orientation to another - just like the built-in applications do. Note: I made that video back in April; the emulator looks a little different now, but the animation works just the same. The implementation is now based off PhoneApplicationFrame which simplifies things a bit by avoiding the need to track state across pages. Conveniently, this also makes the setup process a bit easier. What's more, I was able to get rid of the TranslateTransform based on a suggestion by Seema Ramchandani, one of the Silverlight performance experts. And I've added a bit of code to avoid unnecessary calls to InvalidateArrange which helps free up a few extra CPU cycles. That said, my sample is pretty simple - Seema expressed concern about possible slowness for the more complex layouts real applications might use. And while I share her concerns, the options for improving the situation in such cases all seem like they'll degrade the visual quality of the rotation animation. The current implementation gives the best quality it can on any device for any layout (and automatically degrades as necessary to catch up if it falls behind); the alternatives create animations that just won't be as smooth. :( So I'm reluctant to start down that path until I know it's necessary. Please let me know what your experience is - whether good or bad - so I can make an informed decision! Add the AnimateOrientationChangesFrame.cs code file from the sample to your project/solution. Done; rotations will now be animated! To customize the animation, use the Duration, EasingFunction, and IsAnimationEnabled properties which are all still present and continue to work as outlined in the previous post. The PageOrientation.PortraitDown value remains unsupported with this release because the platform still does not support it. On the one hand, animating orientation changes is kind of a whimsical behavior to add to an application - but on the other hand, it helps to create the kind of pleasing, platform-consistent experience that users appreciate and enjoy. AnimateOrientationChangesFrame isn't going to turn a crummy application into a good one - but it just might add some polish to help turn a good application into a great one. I've had fun creating this sample - I hope you enjoy using it! I've previously written that one of my ContextMenu test cases for the April '10 release of the Silverlight Toolkit was to implement a quick "split button" control for Silverlight using Button and ContextMenu. Though it wasn't my goal to build a general-purpose control for widespread use, there's been a lot of interest in SplitButton/MenuButton and I followed up with a few fixes for the Silverlight version and "official" support for WPF. That might have been the end of the story - until Fabio Buscaroli contacted me to report an issue he was seeing with the WPF version (follow our exchange here). At first, I thought the problem was related to the DataContext not inheriting properly - and while that was true, it wasn't the whole story! When Fabio told me the tweak for DataContext I'd suggested didn't solve his RoutedCommand scenario, I had a look at a simple example he posted and realized the DataContext problem was a symptom of a larger issue: that the ContextMenu wasn't a logical child of the SplitButton. As soon as I solved that problem, it fixed Fabio's scenario and the related DataContext issue I'd discovered during my own investigation. Aside: None of this applies to Silverlight because that platform doesn't expose the notion of a logical tree the way WPF does. While I was working on this fix, I noticed full code analysis wasn't enabled for the SplitButton assemblies; I turned it on and addressed the handful of warnings it generated. Most of the changes won't matter to you, but one of them will: the namespace for SplitButton/MenuButton has changed. These classes now live in the Delay namespace - which is consistent with the rest of the sample code I post to my blog. Upgrading existing projects to the latest code will require a tweak of the XAML's "xmlns:" prefix and/or a tweak of the code's "using" statements. Otherwise, there have been no behavior changes to the functionality of SplitButton on Silverlight or WPF, so everything else should continue to work the same as before. It's been great to see the positive response SplitButton and MenuButton have generated. Thanks for everyone's help trying these controls out, finding issues, and reporting them!